For over 12 years I have coached leaders and developing leaders about the power of positive self talk. In simple terms, the words that you say to yourself in your head promote an image of success or failure in your mind. This image influences your performance. In this example you are cornered. You can’t ‘run away‘ from this presentation. You have to do it. Imagine your self talk. “I’m going to be terrible doing this presentation. The senior management team are all going to know that I’m a terrible presenter. My future here is going to be damaged. Oh my god why did this have to happen to me!“. When your performance matches your self talk it re-enforces it which in turn re-enforces the image that you have of yourself either succeeding or failing. This can result in either a virtuous or vicious cycle that affects your performance. You might have this type of self talk if you were already an accomplished presenter, but if you were coming off a low base then this type of self talk will be ‘fake’ and actually won’t help you (because you won’t really believe it!). A more effective form of self talk is something like, “I’ll be the best presenter that I can be today. Period.” This type of self talk is believable and gives you the opportunity to see yourself as a ‘learner‘ rather than an expert. When you see yourself as a learner and you make a mistake it is far easier to recover than if you have used ‘fake‘ self talk. However, self talk is not enough. It must be balanced with doing the right work and focus. The right work in this example relates to learning how to do an effective presentation and putting what you learn in to practice before you do your presentation to the senior management team. Focus refers to the skills and structure that support the action that you are taking. In this example your focus would relate to the core message that you want to convey, the key supporting arguments that you have for your message and the call to action that you want the senior management team to adopt. These self talk principles can be applied to any situation. If you aren’t doing the right work and don’t have focus, then all the positive self talk in the world will amount to nought. How do you manage your self talk? Rachael Robertson was just the second female to lead the Australian Antarctic Expedition for a 12 month period. As you can imagine such extreme conditions require you to find ways to lead when there is literally nowhere to hide. View this interview where Rachael explains how it came to pass that a woman without a scientific background found herself leading up to 120 people in the Antarctic. Rachael’s insights about leadership and ‘Edge Moments’ are nothing short of powerful. Gary Ryan enables individuals, teams and organisations to matter. Below is a sneak peak of the interview I conducted with Pauline Bennett from the City of Whitehorse on Creating Winning Resumes. Members of planforpersonalsuccess.com have access to the full version of this video. Do you really ‘Have’ to do that? “I have to submit this project tomorrow. I have an assignment I have to complete tonight. I have to go to a dinner with my partner. I have to attend my child’s performance. I have to prepare for a meeting tomorrow. You don’t “have” to do anything. Sure there are consequences for not doing these things. There are also consequences for doing them too. Which brings me to my point. Think about how differently you would apply yourself to the above activities if you actively chose to do them or decided that you are doing them because you want to do them rather than you “have” to do them. Think about all the things that you are doing because you believe that you “have” to do them. What would happen if you didn’t do them? Maybe the consequence would be that you would miss out on something that you really want, such as your partner feeling that you really do love him/her. Or maybe you would miss out on a promotion that you really want. 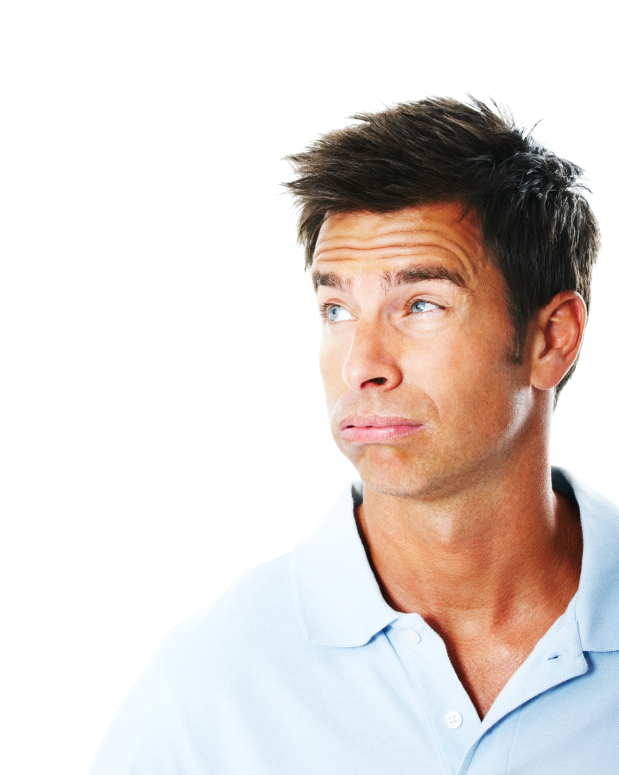 What if you were to switch from the perspective of “have to or else…”, to “want to because…”? When you understand why you are doing what you are doing in the moment and how it will help you to achieve what you really want, it is amazing how much happier you are right now when you fully apply yourself to the activity whatever it may be. This also increases the chances that you’ll also be happier in the future. This is one of the key success strategies when you plan and action personal success. Try it out and let me know how you go. I’m confident that you will be positively surprised. The Australasian Survey of Student Engagement identified that 27% – 34% of university students intend to drop out of university prior to completing their degrees. I know what it is like to have the strong desire to drop out. I took 7.5 years to complete my first degree which was supposed to take 4 years. The last 3 years of my program seemed to drag on forever. Every semester I would seriously consider quitting. My partner (now wife) kept urging me to stay course. “You won’t regret it!” she urged. Truth be known I wasn’t the greatest student back in those days! ‘P for pass’ was my mantra. Hardly a mantra for success! Got a job in a field related to my studies because there weren’t any jobs available and unemployment had reached 11%. It was this experience that taught me that my partner was right. Completing my degree did matter even if I didn’t get a job as a teacher. I learned that, to a large degree, my qualification was like a bus ticket. There are certain buses that you just can’t get on if you don’t have the ticket. For a number of years I continued to swear that I would never go back to university. However as they say, you should never say, “Never!”. I understand what it takes to complete a degree when working full time and having significant family commitments. I also understand how managing your energy contributes to your ability to ‘manage’ when you have competing demands on your time. 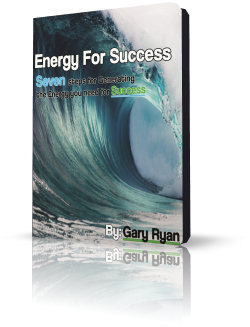 Which is why I want to share my ebook “Energy For Success – Seven Steps For Generating The Energy You Need For Success.” with you. For me, I know that feeling fit and healthy gives me the sense of being able to tackle any task, no matter how big or small it is. When I don’t feel fit and healthy it is amazing how challenging even the smallest task can seem. So, it would seem that being fit and healthy is a key factor for my energy. And it is. What are your examples? Once identified these factor often relate to each and provide you with amazing insights about what you should and shouldn’t do to ensure that you have the energy to complete your program. If you’d like to learn more and be able to create your own cycle for generating your Energy For Success simply click this link and follow the prompts. If you haven’t read it yet, please read Part 1 of this story here. After two short stints in two small office environments she found herself out of work. The classic, ‘Last on, first off‘ syndrome. Her employers had tried. But they were small operations and in reality needed someone who wasn’t as raw with office work as she was at the time. Imagine the challenge that being out of work posed to her new found mindset and self-belief. Her old factory job loomed like a giant magnet trying to drag her back into her old life and everything that came with it. “I really, really don’t want to go back to a factory job. But I just don’t know if I’m cut out for a an office job.” she exclaimed. “Well, you’ve proven twice now that you can study. One of the side benefits of studying is that you have to use office skills to do your homework. So, in a way it’s like practice for your future job.” I suggested. So off she went for a third course and obtained a qualification for Property Management. It took a while but she finally got a job. It wasn’t a full time job, just four days per week. They understood that it was her first experience in the industry. They promised training by one of the Directors of the company. It has been over six months since she started and she has seen that Director twice in that entire time. So much for training. Yes, it is sink or swim at that company! Recently she informed me that she had been required to use her own car to visit the houses she was ‘managing’ and that she had been given an ‘office phone’ that she was to use to answer landlord calls on her three days off per week. She told me that she didn’t think it was fair that she was expected to work on her days off and that she had to use her own car to travel around on business duties. “Are you receiving an allowance for these activities?” I asked. “I’m pretty sure your job would be tied to a Government Award and if it is then I’m pretty sure the conditions of the Award are being breached by your employer.” I said. “But I don’t want to lose my job.” Fear, a powerful mindset kicked in. The type that says the ‘little person‘ should just be happy with what they have and don’t rock the boat because you could lose your job. I had to tread carefully and respectfully. This is her life and she has the right to be in control of it. Which includes sticking with mindsets that I might not agree with. “To work for someone who treats me fairly. I’m happy to work hard and I believe that I do. I’ve learned a lot. I’m glad I have been given this opportunity and I appreciate it. But that doesn’t mean I should work on my days off and not be paid for it. When I go shopping, the phone rings. When I’m out with my friends, the phone rings. Once I left the phone at work and they called me up on my personal phone and asked me why I hadn’t taken the phone with me. To top it all off my boss keeps telling everyone in the office about how much she hates Property Management. How’s that supposed to make me feel?“. While the desire to jump on my horse and go riding in to ‘save‘ my young relative seemed to beckon me with every word she said, I knew that this could prove to be another major mindset shift opportunity for her. Support was what she need, not a knight in shining armour. “I can’t talk to my boss about this, I’ll get the sack!“. We discovered a Modern Award that covered her role. It identified allowances and normal hours of work. We also had a look at her ‘contract’. No mention of the Award there and no mention of allowances and use of her vehicle, nor answering the phone on an ‘on-call‘ basis. It seemed to me that she had a legitimate case to take to her boss. Fair enough. She had come a long way and it was understandable that such a conversation would be too big a leap. But life can have a funny way of contriving events to force an issue. Just last week, on one of her days off her phone rang. She took the call and referred the caller on to her boss. Her boss took the call and then rang her back. She was informed that she was ‘unprofessional‘ for not completing the call herself and her boss felt that she wasn’t meeting the standards of the role. Please recall that this conversation is happening on one of her day’s off and she had been told, yet again earlier that week that she wasn’t going to be put on full time. My young female relative was calm. But she wasn’t silent. She informed her boss that she knew her rights and that she should be receiving an allowance for answering the phone on her days off, or they should simply employ her full time. She was again told that the quality of her work was not up to standard and that if she didn’t like answering the phones outside of her scheduled four days then maybe someone who really wanted to work would be happy to have her job. Aaah, when challenged, turn to bullying. That’s the spirit Ms Employer (yes friends, her boss is a woman)! “Plus, I’m not a very strong person so I can’t have that sort of conversation.” Yes, another powerful mindset that can easily emerge and hold people back from creating what they want. Earlier tonight she contacted me. She had spoken with her boss. The result. She is now working an extra half day in the office to take calls. While not a perfect result it was a win-win. She has the opportunity to earn more money in a fairer (but certainly not completely fair nor in compliance with the Award, but that’s another issue) and her boss has her for an extra half day doing a job that is obviously required. The best outcome is the evidence that this experience provides for my young relative. She has proven that she can challenge her own mindset and have conversations that she didn’t think were possible for her to have. And, from the perspective of her starting point she has proven that she can achieve a win-win. That said, if you or anyone you know has a Real Estate business in the south eastern region of Melbourne and you are interested in meeting my young relative and exploring the possibility of engaging her to join a vibrant and supportive team, please email me at info@orgsthatmatter.com and mention this article. I’m of the view that her current employer doesn’t deserve someone of her qualities and quite frankly, she deserves a ‘break’ and if I can help facilitate that, then I would really like to contribute to creating one for her. The thing with your plan is that it’s okay to explore questions because guess what – if you’ve got questions, there is one thing you know therefore that you want: you want to know the answer to your own questions – yeah – if you think about your future! Now I’ll talk about strategies later on – sometimes you might deliberately choose to go into a culture that’s not right for you because at the end of the day, you just need to get some experience – you might put some specific timeframes on how long you’ll stay there so that that culture that does not negatively infect you. The launch of the Yes For Success Online Course is just a few weeks away…register your interest below. Gary Ryan from Organisations That Matter explains the power of passion and how it impacts your ability to create the success you desire. This episode is part of the What Really Matters For Professionals Development Podcast. Over the years of helping my clients create more success, one cause that stands out more than any other is your mindset. So what’s stopping them from being as successful as they desire? Better still, what is stopping you from being as successful as you wish to be? Logically if you are not as successful as you desire, then your theories, or mindset for creating success is not working, at least not completely. It might be working in some areas of your life, but not all areas of your life. In fact, if you really think about, you have multiple theories about success. You will have theories about how to create successful relationships, how to create a successful business, how to create a successful career, how to be healthy etcetera. Some of these theories will be working. Some won’t be, but you’ll still be using them. And then you wonder why you aren’t as successful as you desire. Here’s the kicker. Some of your theories for success used to work. So you keep using them. However the world changes. You change. Yet you keep using these old theories that used to work. These theories are embedded into your mindset and stop you from creating future success. Yes, that is right. Your old theories that once created success are no longer valid and new theories must be adopted. The evidence is as plain as the nose on your face, especially if you’re not as successful as you desire to be. One mindset that many employees have is that it is their organisation’s responsibility to develop them. This mindset is akin to abdicating your responsibility for your continued development. Why would anyone consciously make that choice? The issue is that people don’t consciously make this choice, they subconsciously make this choice. The outcome of such a mindset is that the person loses. Big time. If your organisation doesn’t invest in your development then, with this mindset you are screwed. To be brutally honest an organisation that doesn’t prioritise or invest in your development isn’t a high performing organisation and probably isn’t worthy of your full talents. But if you don’t develop yourself under such circumstances then your full talents won’t be worth much either. Not to prospective employers anyhow. And then you’re stuck. You’re stuck with an employer who isn’t developing you and because your mindset is that it is their responsibility to do that, you don’t improve yourself. And then you can’t get a job anywhere else. Not a very secure strategy if you ask me! At the same time, your mindset is the most important factor for creating the future success you desire. If you don’t change your mindset or keep up a strong and proactive one, you’ll keep doing what you’ve done and you’ll continue to be dissatisfied with your level of success. It doesn’t have to be that way. Improve yourself and take control of your development. Use whatever development your organisation offers as a bonus and take charge of creating the success you desire. Gary Ryan enables organisations, leaders and talented people to move Beyond Being Good. Commence a complimentary trial of the Yes For Success Platform here. Thanksgiving is just around the corner and while it is not something we formally celebrate in Australia, my twin brother and his family live in the USA so I have become more and more familiar with the concept over time. If you are concerned about having a career that is unfulfilled or that the skills that you have will never be fully leveraged for success (amongst a whole list of concerns and worries about your future), then according to research from the University of California by Dr Robert Emmons, practicing being grateful for what you already have can both increase your happiness and increase your success. Yes, that is correct. Being thankful for what you have increases your happiness and increases your success, which means that you increase your capacity to have more of what you want in your life. Too often we focus only on what we want. This can increase our dissatisfaction with our present that reduces our happiness in the present. His Holiness the Dalai Lama says that too many people spend too much of their time wanting what they don’t have which causes unimaginable suffering. Think about it. You buy a new car. For a short period of time you are feeling satisfied and grateful for your new car. Then you see someone else with the same model car as yourself, but it has some extra options that you don’t have on your car. “I wish I had those options.” you think to yourself. Suddenly your new car isn’t quite as good as your thought. So you start to suffer again. In this context is wanting what you don’t have bad for you? I don’t believe so. After all I facilitate the OTM Plan for Personal Success® Program which is all about identifying what you want and what you are going to do to create that future. But the program isn’t just about that. It is also about recognising what you currently have in your life for which you are grateful and identifying what you need to do to keep what you are grateful for present in your life. As an example I am now in my 17th year of marriage with my beautiful wife Michelle. I really do love her more than the day we married. I am extremely grateful to have her as my life partner and the mother of our five children. I practice making sure that I never forgot that I am grateful for who she is and what she does. I do this because I want Michelle to be in my life both now and in the future. Many people forget this fact. There are many elements of our lives that have contributed to our current success that will also need to be present in our future if we want to continue our success and happiness. This means that you must plan to take conscious actions to keep the very things that make you happy now continually present in your life. One way to do that is to create a Grateful List. Simply create a list of the things for which you are truly grateful, place that list where you can see it everyday and then look at it every day. Once every 90 days update your list. This simple, yet effective strategy can raise your consciousness of what makes you happy in the present, while also contributing to your future success and happiness. For all of you around the world celebrating Thanksgiving, stay safe and have a wonderful time celebrating the things in your lives for which you are grateful.